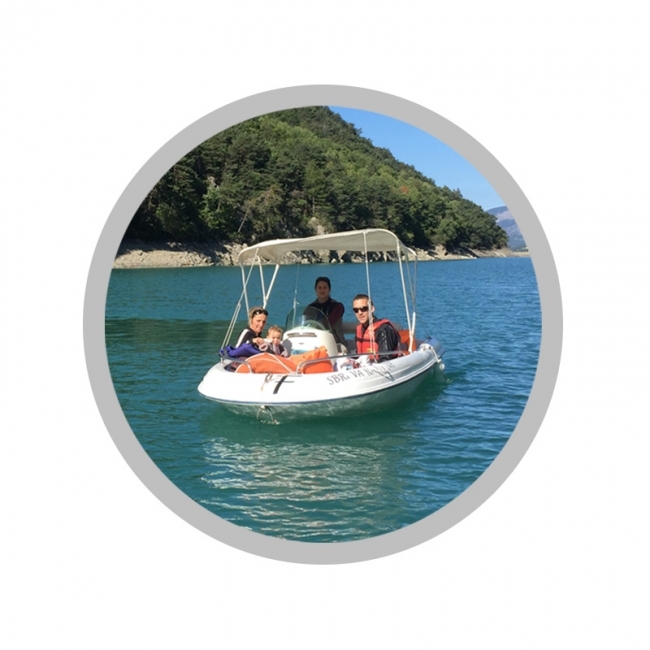 This boat is suitable both for lazing around, thanks to its sunbathing before, as well as for the sports ride or swimming. 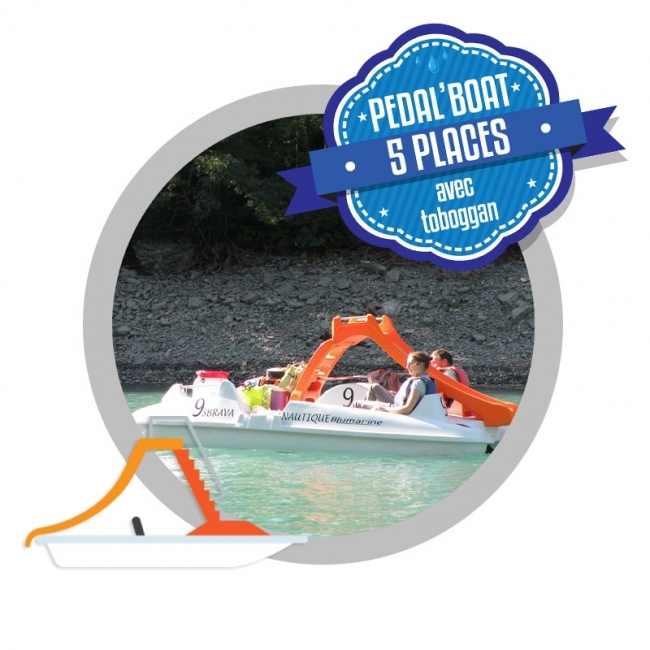 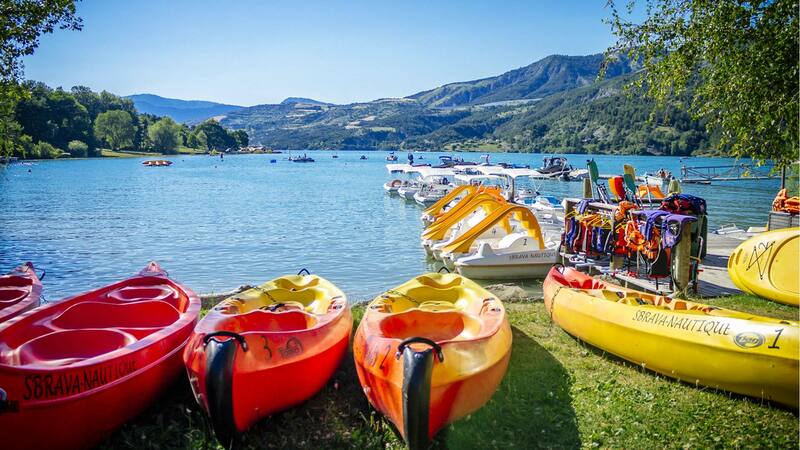 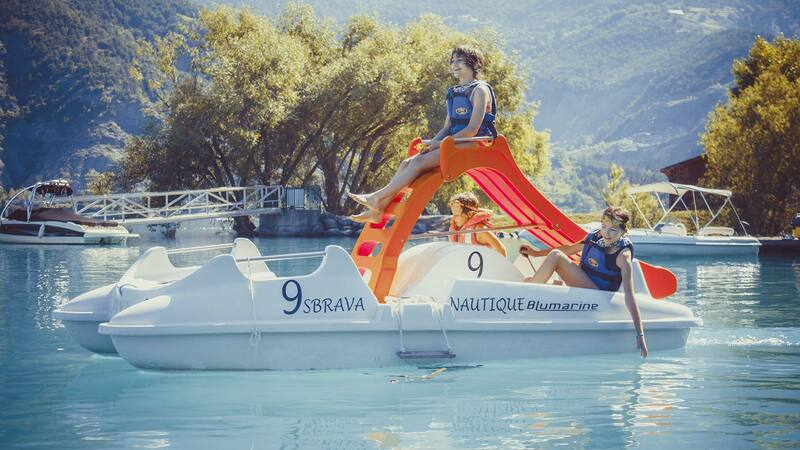 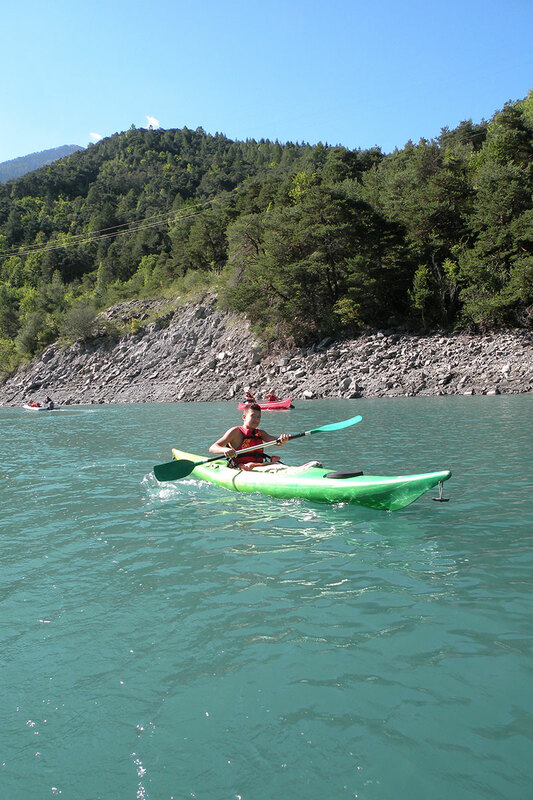 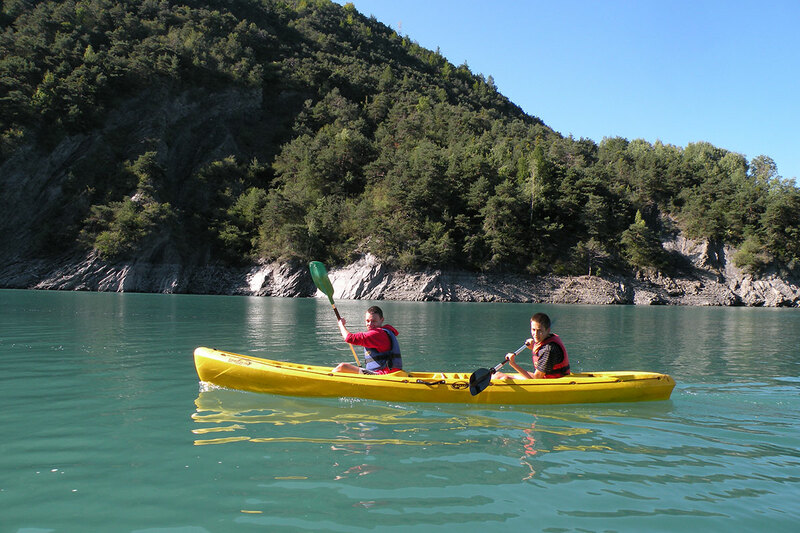 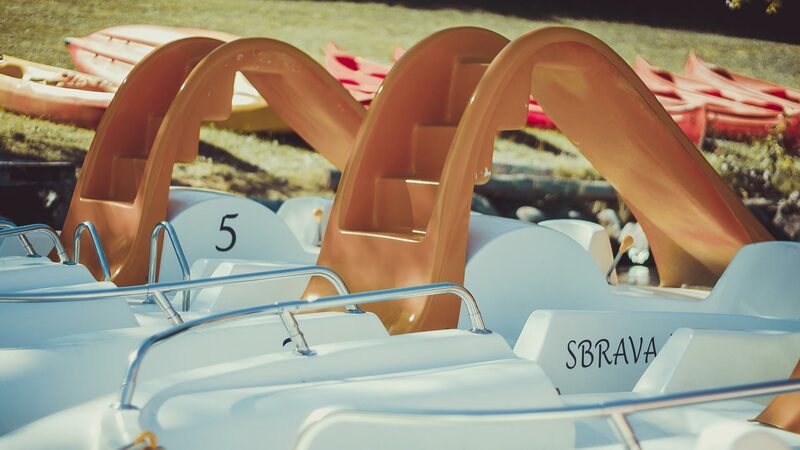 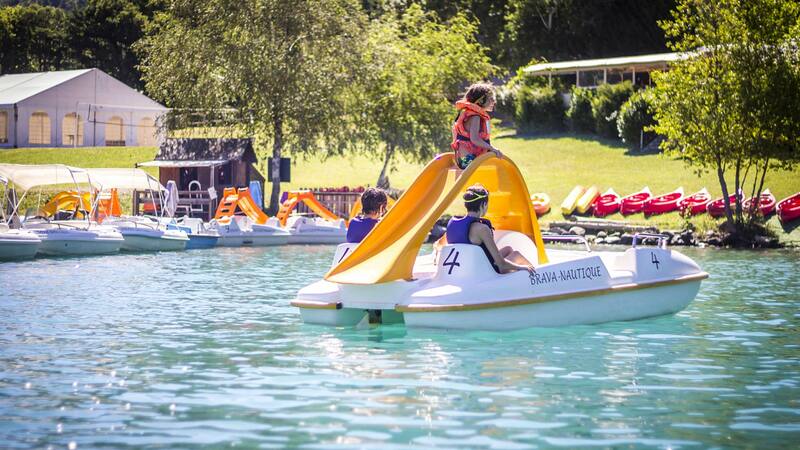 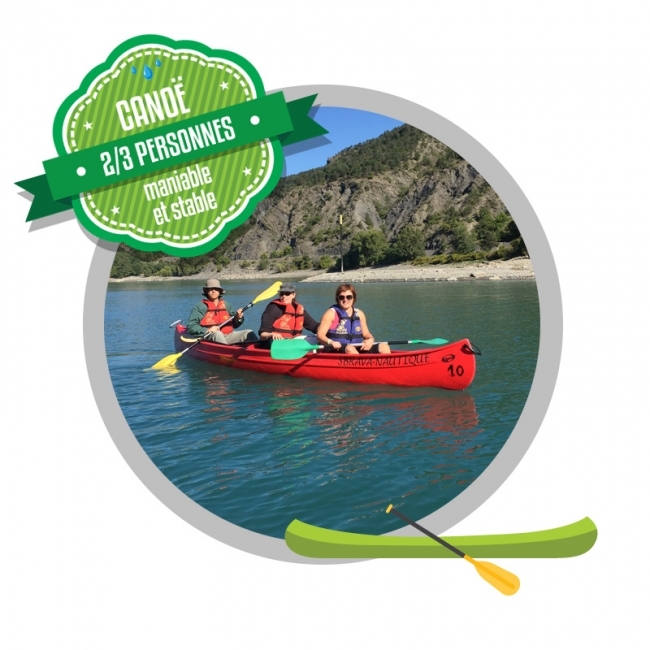 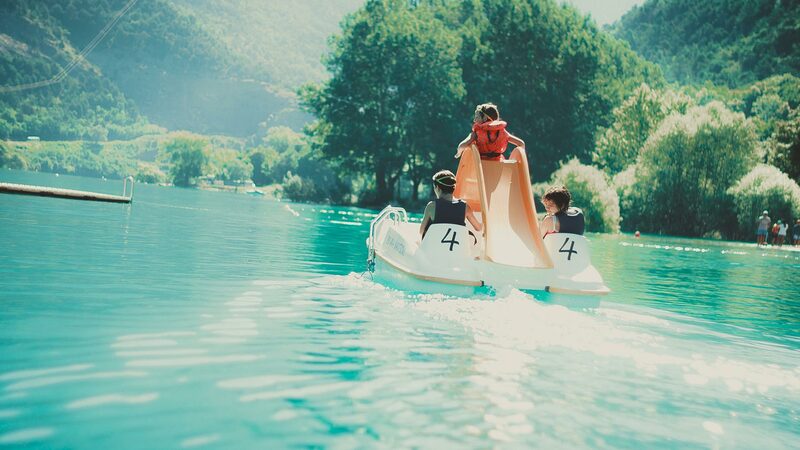 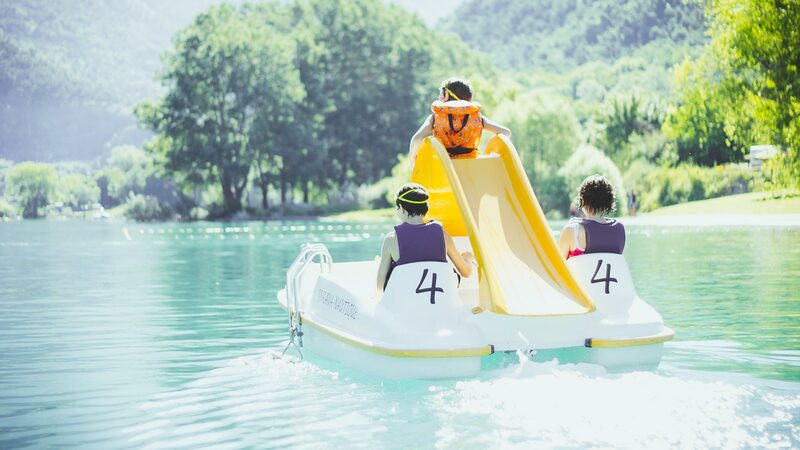 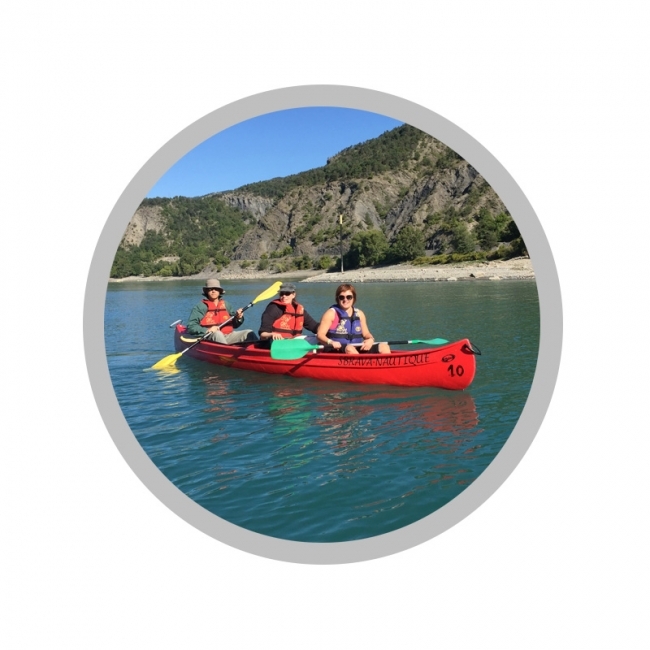 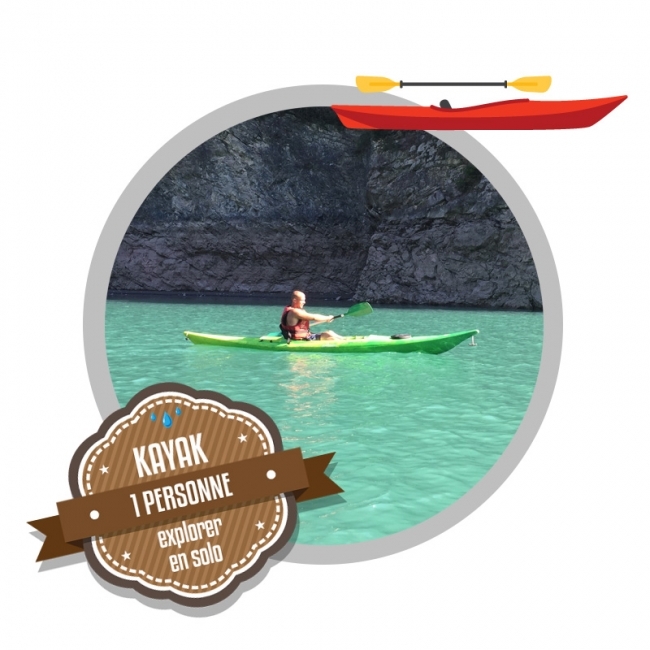 It will allow you to discover the whole lake of Serre-Ponçon with comfort and safety thanks to its various equipments (table, bimini, swim ladder). 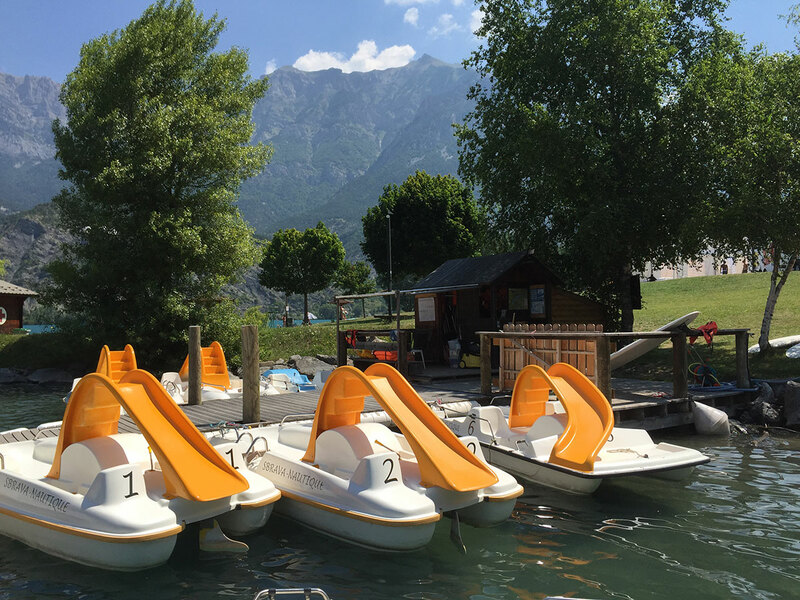 On board, you will find lifejackets for each person, oars, a buoy, a map of the lake and a cover, which will protect you from the sun. 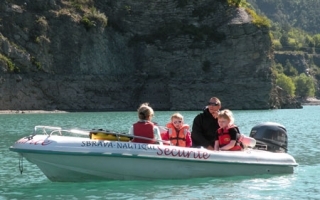 This boat requires the presentation of the coastal or river license. 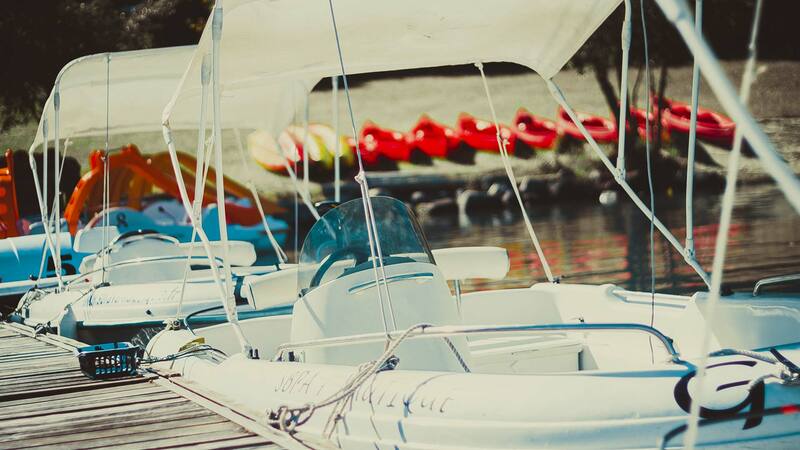 The rules of navigation to respect will be recalled to you initially. 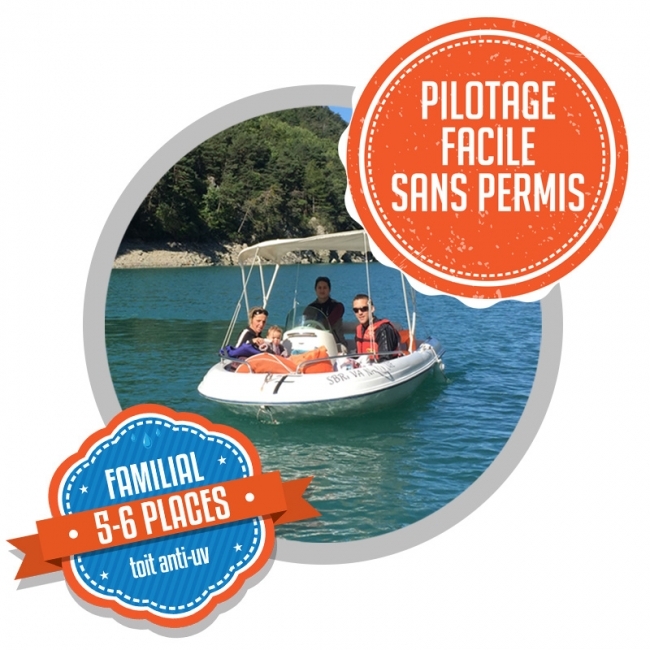 Have a credit card on board to refuel at Port Saint Pierre before returning the boat. 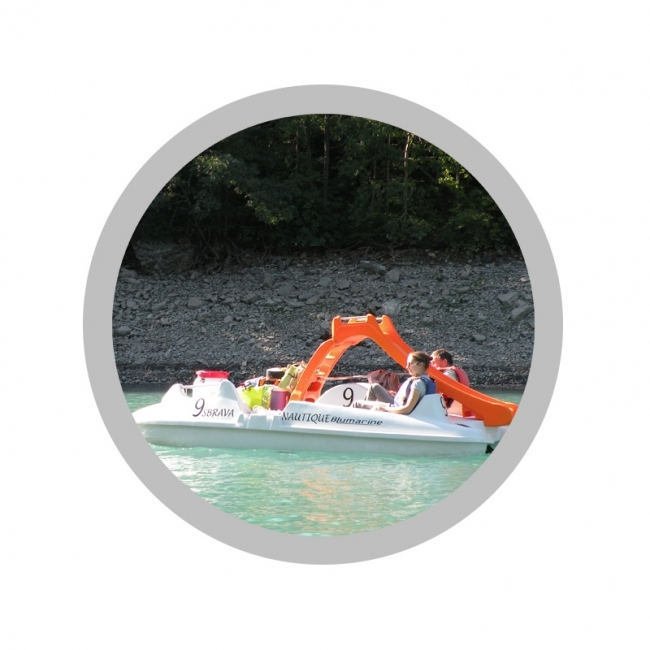 If the boat is refueled, fuel will be charged based on maximum fuel consumption and rental time. 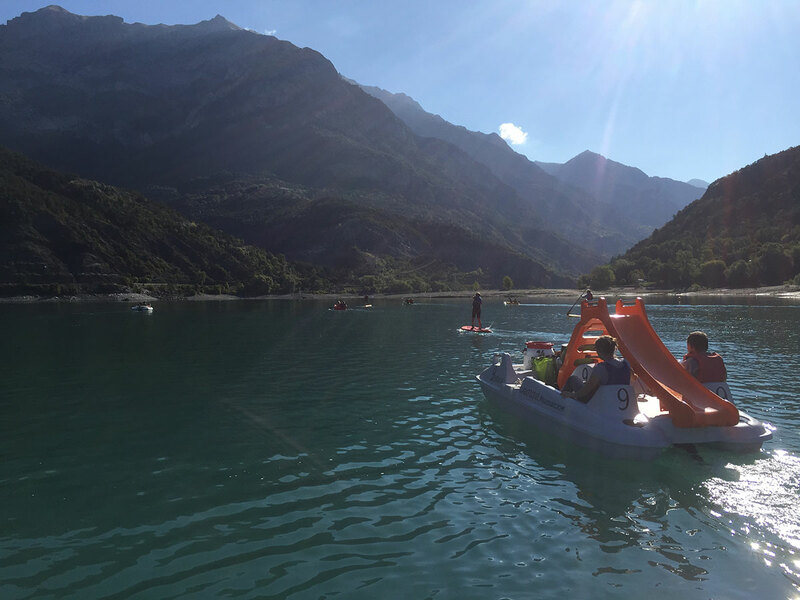 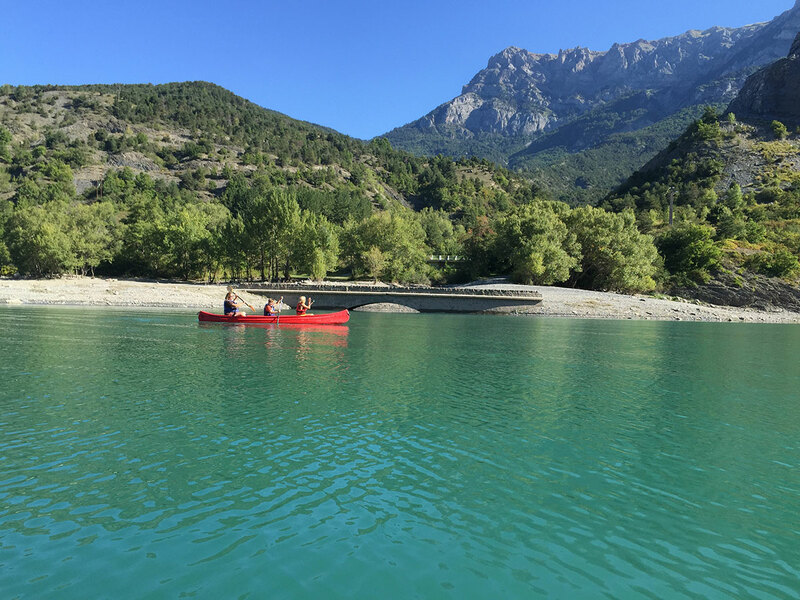 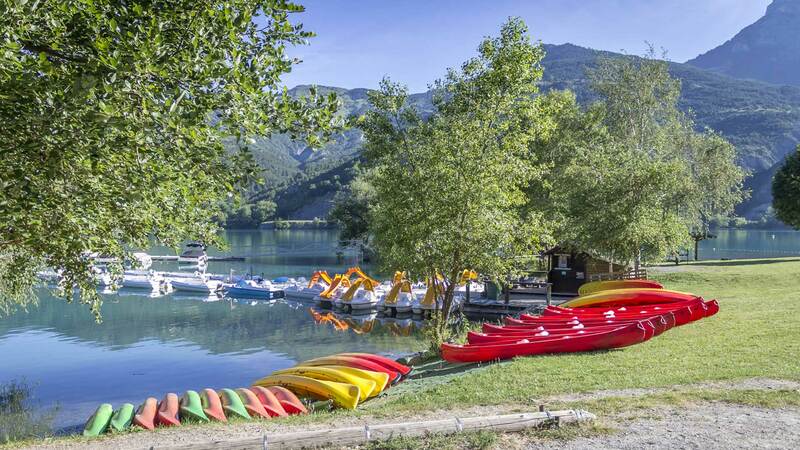 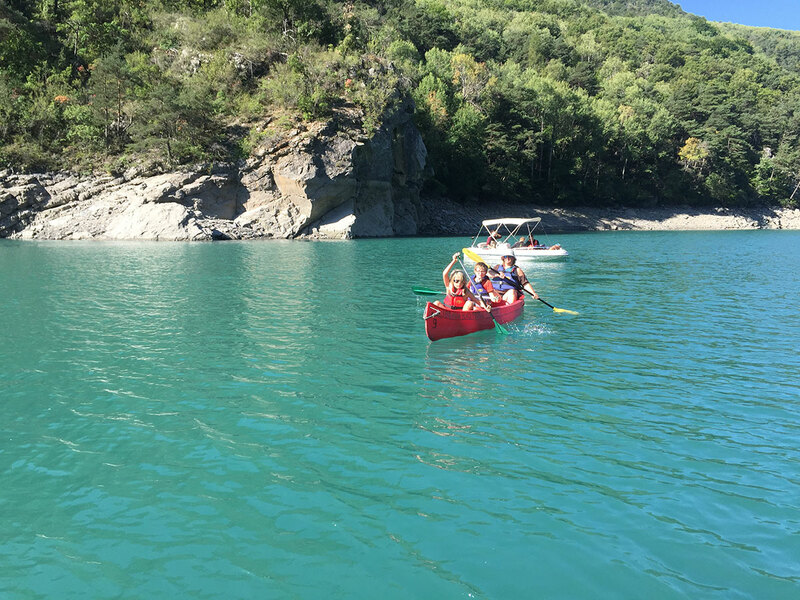 Without noise and odor, our boats without license have an autonomy of 8 hours, which gives you time to discover the southern shores of Lake Serre-Ponçon in peace. 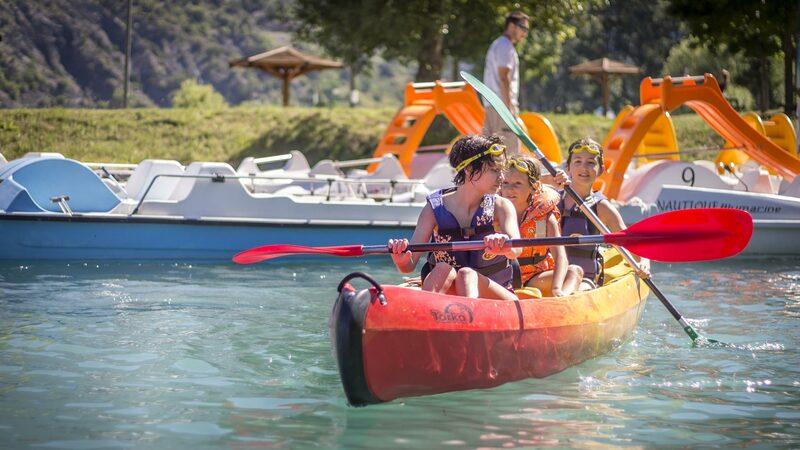 On board, you will find lifejackets for each person, oars, a buoy, a map of the lake and a cover, which will protect you from the sun. 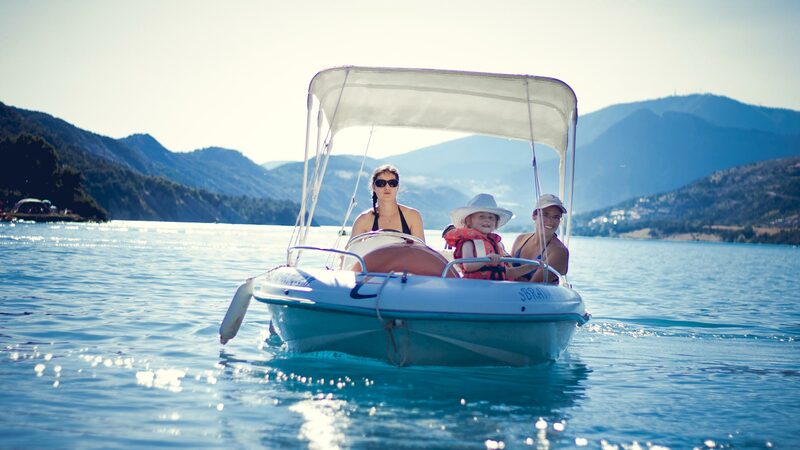 These unsinkable boats operate without a license, and are therefore accessible to all. 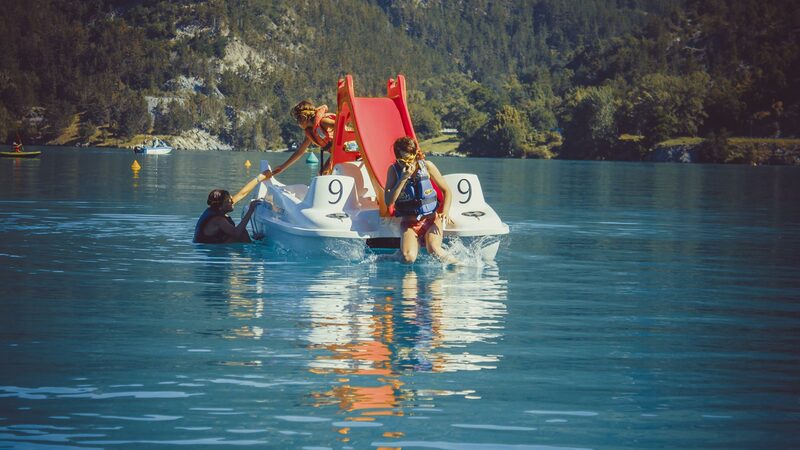 Only a few navigation rules to respect will be given initially. 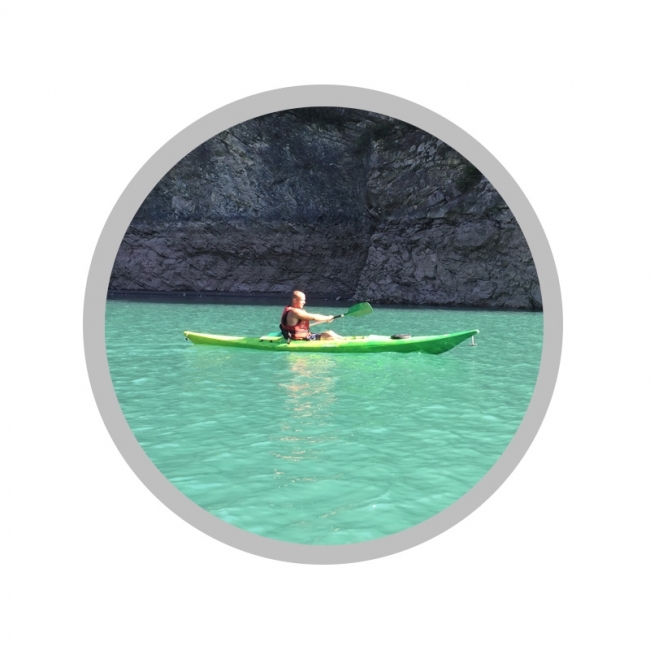 Come discover the BIG SUP! 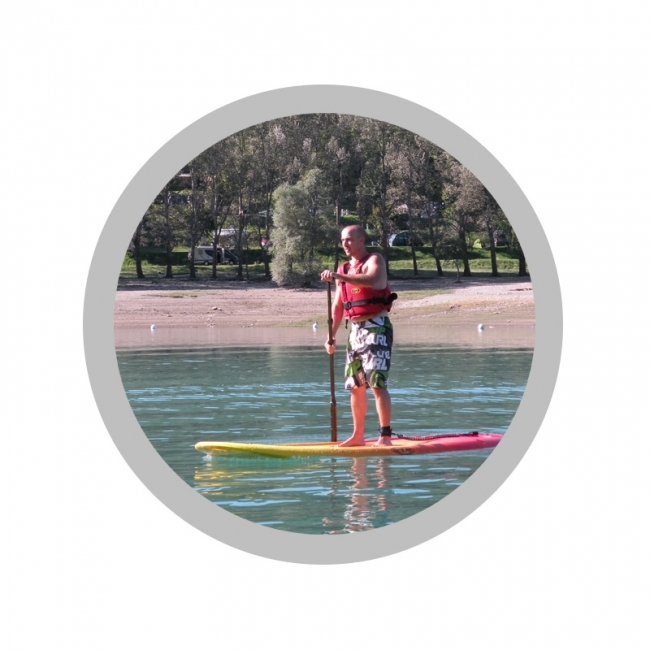 The BIG SUP is halfway between rafting and stand up paddling and is practiced standing as if sitting with a simple paddle. 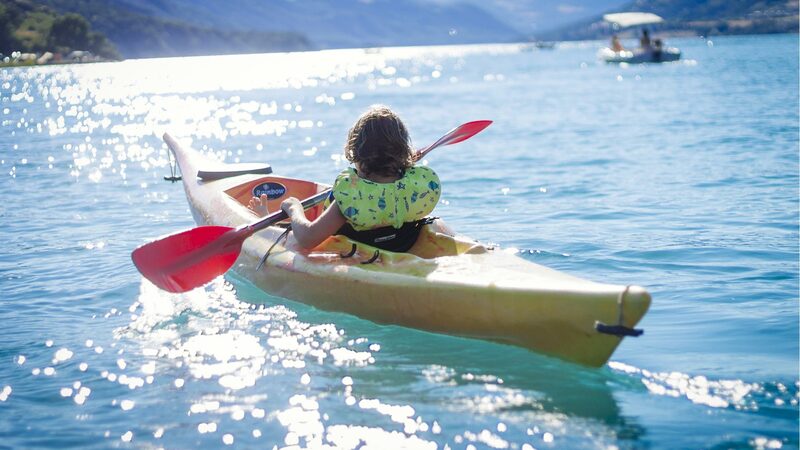 It offers maximum stability, and a non-slip grip surface covers its upper face, and it is equipped with 11 carrying handles. 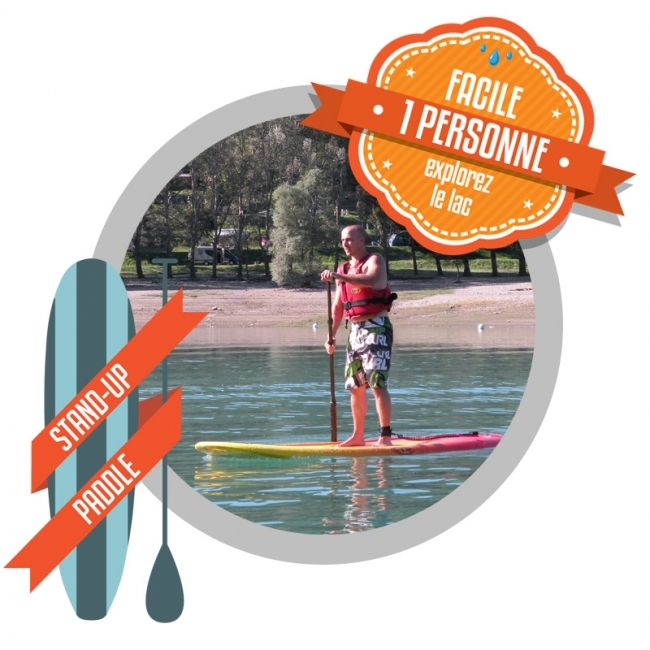 The stand-up paddle is practiced standing with a single paddle. 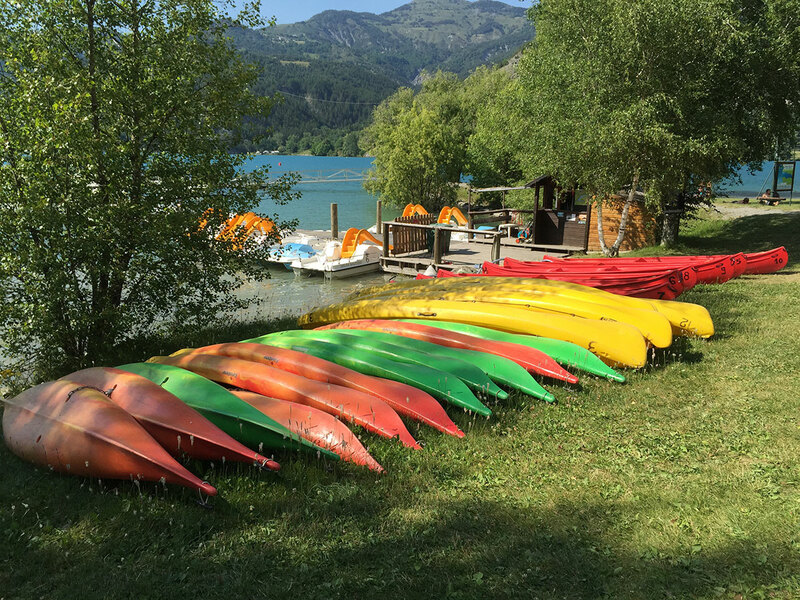 This is the longest version of the surfboards, about three meters, the discipline is a good exercise of outdoor bodybuilding on the water. 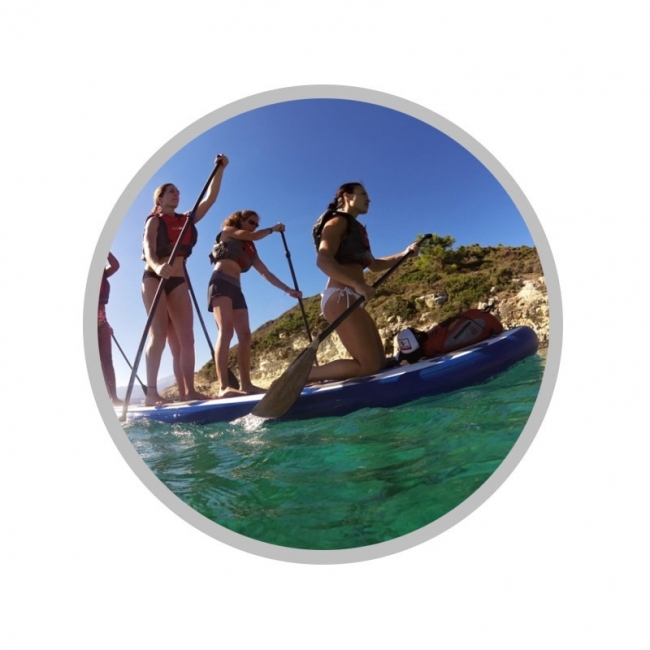 The stand-up paddle boards are long and wide enough to provide maximum stability, and a non-slip grip surface covers the top surface. 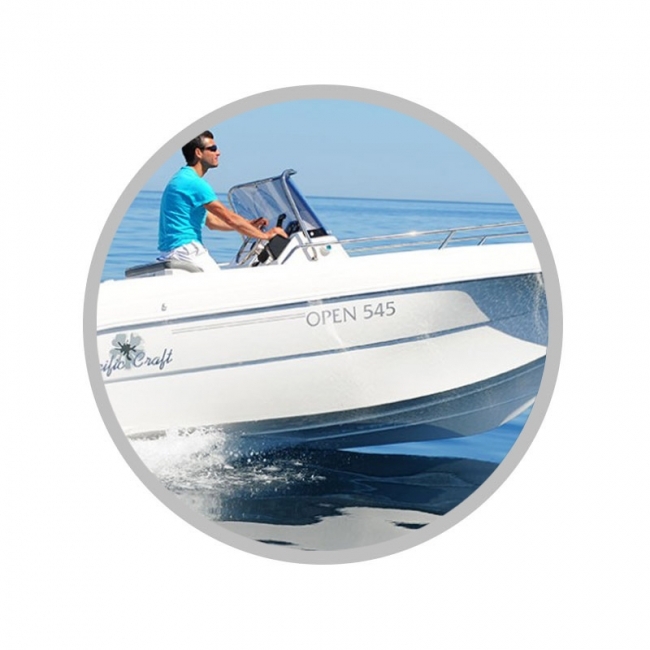 For your safety, we have a fast boat, always ready, to provide you with all necessary assistance as soon as possible.